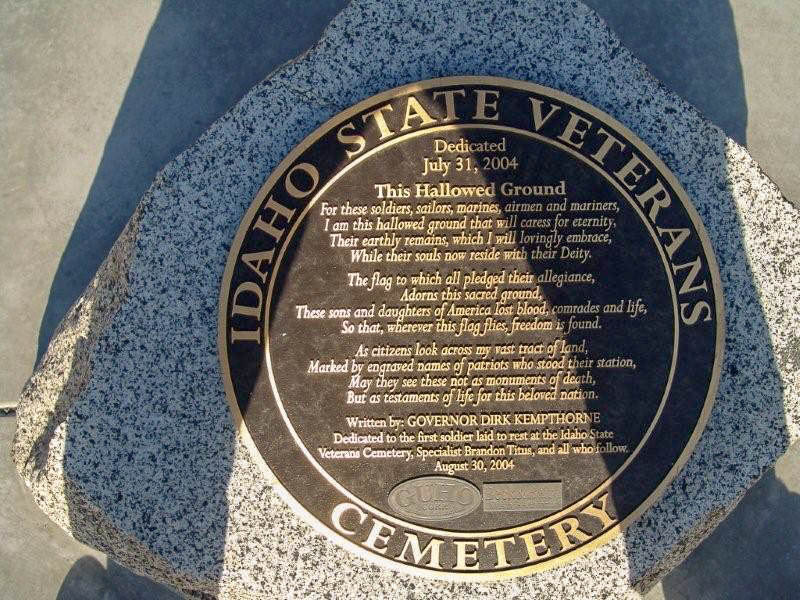 The State of Idaho was the last remaining state not to have a State Veterans Cemetery. Initial land was donated that started the process of designing the eventual project. The design team was tasked with looking at multiple public and private parcels with over 200’ of topography to develop a cemetery that would serve the State for the next 30 years. The design team worked with federal veterans cemetery and state agencies as well as Bureau of Land Management on the project along with multiple stakeholders such as veterans groups to get input that would shape the final design. Site challenges included a lack of water rights, creating a unique identity from the cemetery to the south, maintaining adequate separation from the residential developments to the west and northwest and working with the extreme topography of the site. Conceptual designs focused on designs using various configurations of parcels to meet the spatial requirements of the design with the least amount of developed land. Concept A kept the design nestled in the undeveloped foothills with great views out and a very pastoral setting. Concept B was the most land efficient as well as not developing in the steep topography but would be surrounded on two sides by residential development possibly causing conflicts with noise from committal ceremonies. Concept C tries to strike a balance between the two by not developing directly next to the residential and limiting development in the steeper topography. Input from all of the involved parties, especially veterans groups eager to finally have a facility of their own in the State, helped shape the schematic design plans which further refined differing approaches to using the site. A large influence on the design was limiting the development of manicured lawns due to water limitations. An extensive effort was put forth by the design team in securing water rights for the property as well as transferring those rights thru multiple water agencies to get access to the site. The final master plan and built facility develops a striking facility with beautifully maintained manicured grounds surrounded by largely undisturbed foothills with its desert vegetation giving a striking contrast. While only developing 17 acres of the overall 76, the project creates needed physical separation between administration and facility uses, cemetery and internment uses, and maintains separation of sensitive uses to surrounding current and future development. The project did move over 200,000 cubic yards of soil to develop the upper and lower burial terraces to federal standards and the meandering vehicular roadway connecting the two parts of the site. The upper flag plaza and scattering gardens offer expansive views out over the foothills and rest of Boise and the wall of the flag plaza creates a truly striking visual element while creating a large plaza space for Memorial Day and Veterans Day ceremonies. 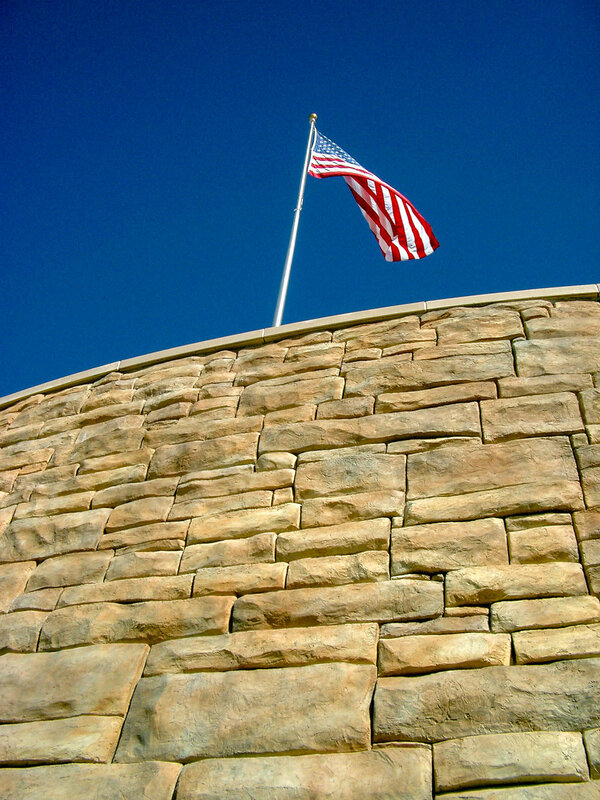 The design team collaborated closely on using similar materials such as the native Idaho sandstone on both the architecture and landscape to create a seamless aesthetic that creates a facility with quite a unique feel among all of the other state veteran cemetery facilities across the country. The overall project was completed with a budget of $9.5 million and is still the largest project led by a Landscape Architect for the State of Idaho.